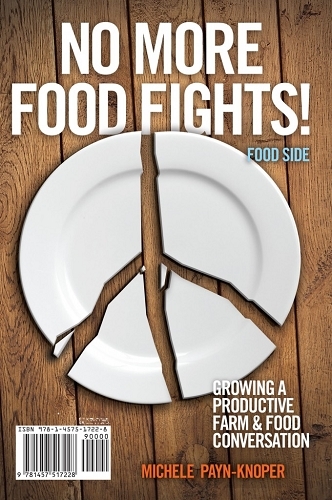 Food fights might seem entertaining, but there’s nothing funny about the fights taking place over food production. Resource limitations, animal welfare and biotechnology are just a few issues cropping up to create confusion in the grocery store. Ultimately, both farmers and food buyers are making a personal choice, and author Michele Payn-Knoper calls for decorum instead of mayhem in the conversation around farm and food. Farmers and ranchers will find a 6 1/2 step action plan for engaging people around the plate. The food side includes six senses to help food buyers overcome guilt and bring peace to their plate. No More Food Fights! 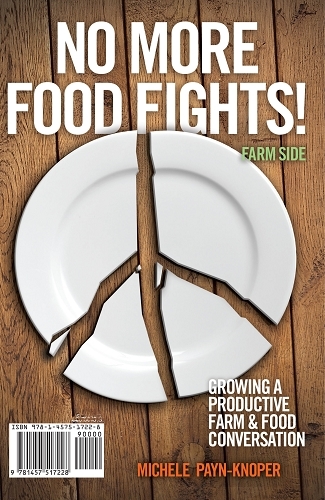 Growing a Productive Farm & Food Conversation is a 172 page paperback book published in 2013. 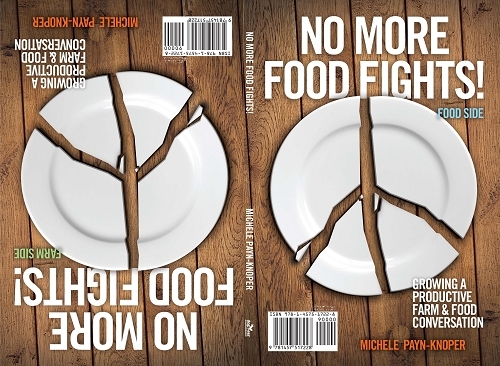 Michele Payn is an author who speaks from the intersection of farm and food to bring clarity and common sense to the grocery store. Known as one of North America’s leading advocates, Payn is passionate about getting back to the truth in food raised the right way, by the right people, for the right reasons.